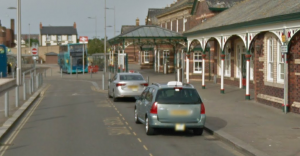 A thief who stole a power tool from Rhyl Railway Station on Monday was caught the next day because he was wearing the same clothes. British Transport Police from North Wales tweeted on Friday morning that a power tool was reported stolen from Rhyl Railway Station on Monday. But fortunately an eagle eyed member Transport of Wales Railway staff in Rhyl managed to identify the suspect the next day because he was helpfully wearing the same clothes as Monday. The member of staff then reported the man in question to the British Transport Police. The suspect was arrested, his house searched, item recovered and he has now been charged with theft. A power tool was reported stolen from Rhyl Railway Stn on Monday. Yesterday eagle eyed @tfwrail staff spotted the suspect (helpfully wearing the same clothes as Monday) & told us. Suspect was arrested, his house searched, item recovered & he has now been charged with Theft. ALSO SEE Are you running a community event in North Wales ?